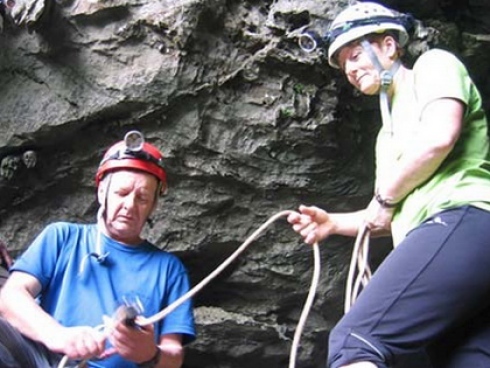 Mr. Howard Limbert has been a member of The British Caving Association (BCA) for 25 years. He has great merit of introducing Son Doong to friends all over the world. 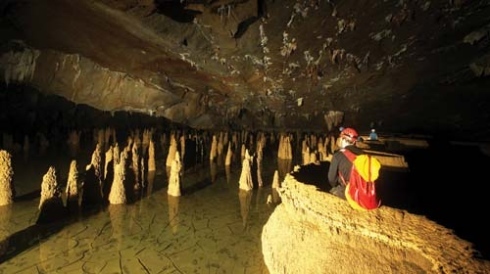 Therefore, Son Doong cave was recognized as the biggest cave in the world. During the past 20 years, he has entered Vietnam 20 times to discover the cave system of Phong Nha- Ke Bang. Via email, he shared to tuoitre.vn newspaper about the exploitation in Son Doong. How do adventure tours inwards Son Doong cave happen? Howard Limbert- A British man has spent half of his life to explore and introduce the beauty of Vietnam’s caves to the world. We were suggested to create international discovery tours by Mr. Nguyen Huu Hoai, president of Quang Binh People’s Committee. We have done easily and maybe created the most wonderful tour in the world, take more than 200 tourists into Son Doong cave without any accident. Because we have a strong and quality team from adventure company which always strictly complies with safe rules. Everyone taking part in our tour said that discovering Son Doong is their wonderful experience, despite challenges and difficulties. Of which, there are two people climbing Mount Everest, both said Son Doong brings them more exciting experience than Everest. In your opinion, what should do to promote Son Doong as well as other cave system in Quang Binh? Son Doong cave which was later recognized as the biggest cave in the world by National Geographic. I think that they should use the name Son Doong to promote Quang Binh province. It is the cave that has attracted a big number of local and international tourists to Quang Binh together people who visit the grave of General Vo Nguyen Giap. The General did support activities of natural conservation. What is about your next plan? I do love Phong Nha and the local here and plan to settle down here. I want to build a house near Son river. No matter how it is, I still respect the wishes of Vietnamese people and will try to promote the region as well as the local here. Vietnam should be proud of the natural wonders, but please do not harm the nature because the damage will never be able to be recovered and the natural wonders can not be replaced. Where receive treasures from the nature comes with great responsibility. Please think carefully before changing anything, and especially, think for long term and think for the future.